TenguLife: The curious guide to Japan: A little bit of England in Japan - The Great British Pub Quiz! 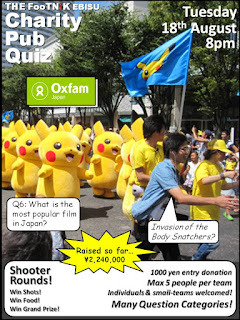 A little bit of England in Japan - The Great British Pub Quiz! Tonight I'll joined what has become something of a regular tradition. People from various different countries gather together on usually the third Tuesday of every month near the railway tracks of Ebisu to celebrate one of the great British traditions, chat, compare notes and compete at the highest levels. And at the end of the evening, everyone walks away with a few more friends than when they arrived. There are usually around fifty people there. I count people from England, Scotland, Canada, America, France, Australia and I'm sure many other countries. There is occasionally even a table of ladies from Japan joining in the evening. And so to the strains of Joni Mitchell singing "Big Yellow Taxi" we figure out the connection is "transport" and will usually still lose, going down to a better team on the day. 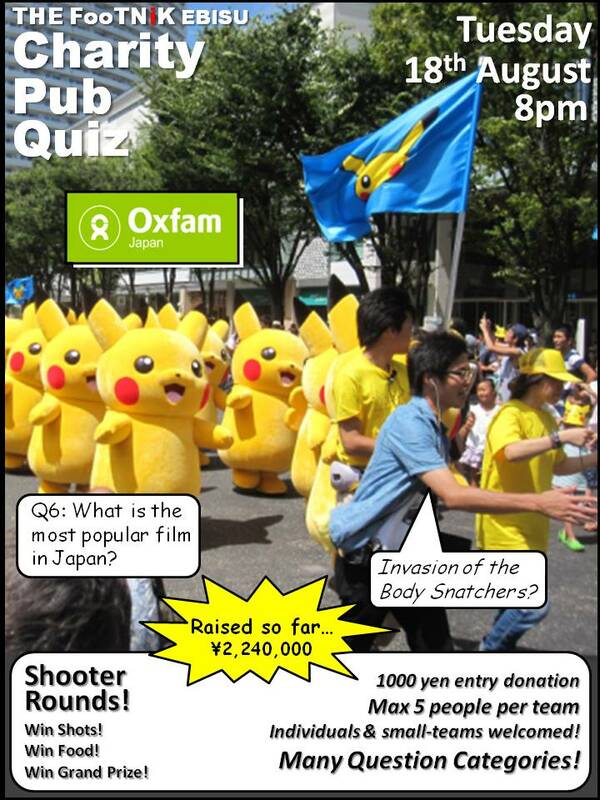 The great British pub quiz is alive and well in Tokyo, raising money for charity and testing anyone who cares to join at the Footnik whether the door was black or red. Thank you in advance for another great night.